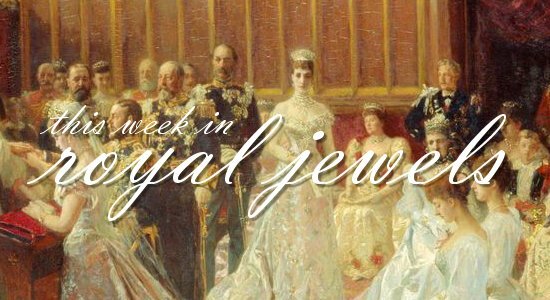 There's some serious regal sparkle to enjoy in this week's roundup! Don't forget to vote for your favorites in the poll below! 10. 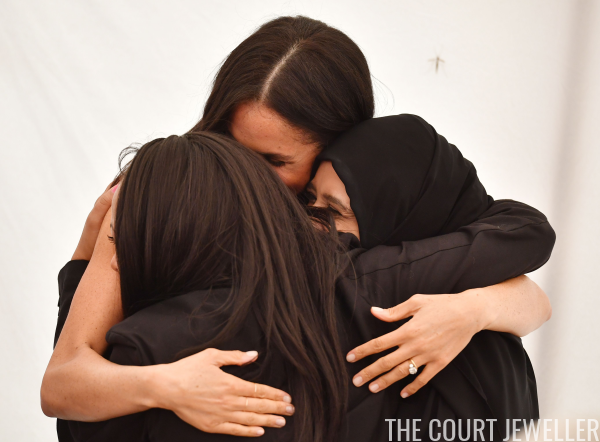 The Duchess of Sussex's rings sparkled and gleamed at Kensington Palace on Thursday during the launch of Together, a cookbook produced by women affected by the Grenfell Tower Fire. 9. 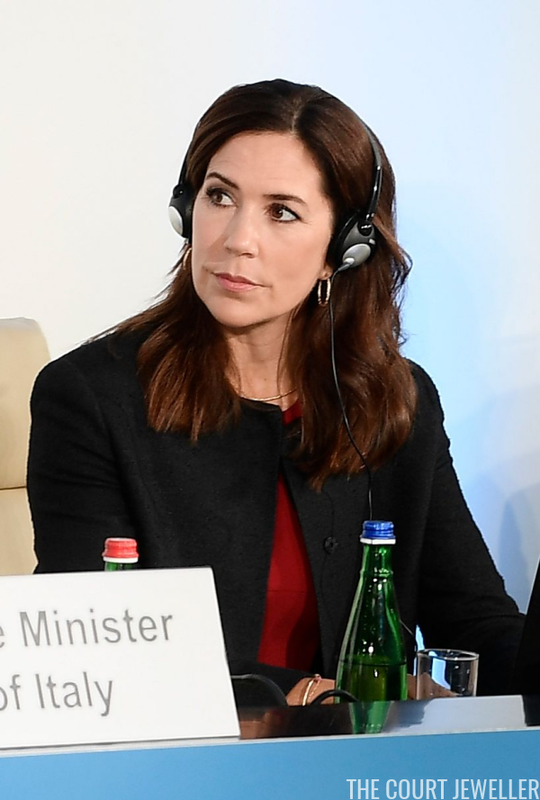 On Monday, Crown Princess Mary of Denmark wore classic hoop earrings to attend a WHO Regional Committee for Europe meeting in Rome. 8. 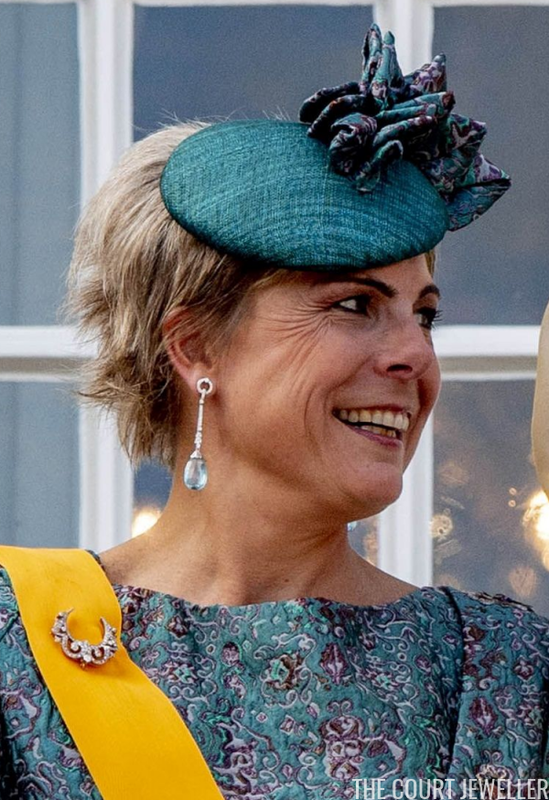 In Salamanca, Queen Letizia of Spain chose her feather earrings for Tuesday's visit to the Science Park. 7. 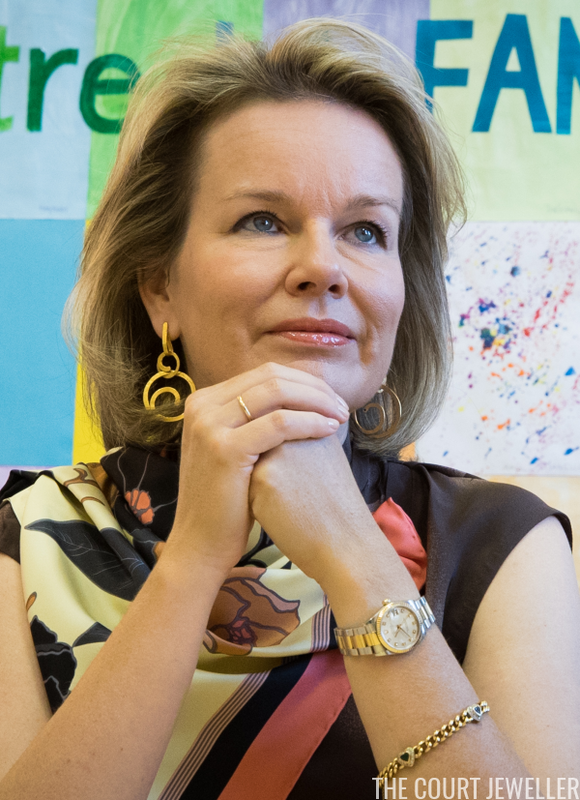 Queen Mathilde of the Belgians wore a pair of her signature gold statement earrings on Tuesday for a visit to a school for children with special needs in Brussels. 6. 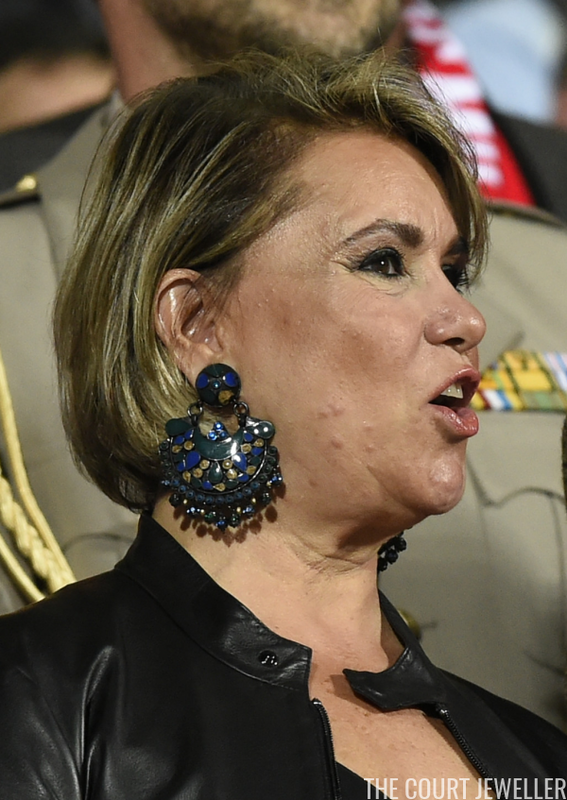 Grand Duchess Maria Teresa of Luxembourg wore a massive pair of ornate earrings on Thursday for a football match between F91 Dudelange and AC Milan at the Josy Barthel Stadium. 4. 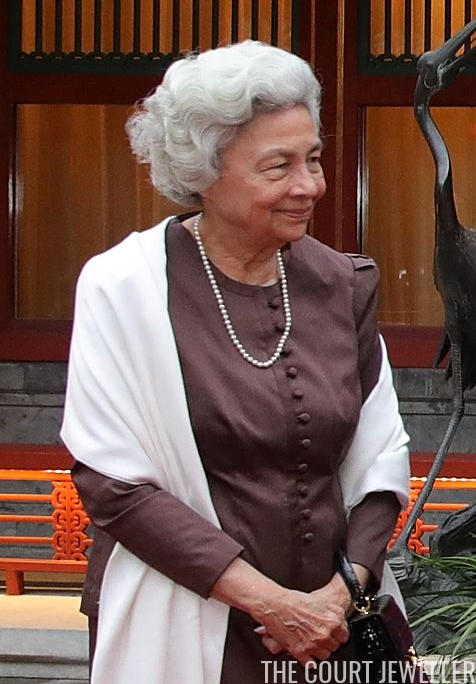 Queen Monique of Cambodia, the mother of King Norodom Sihamoni, wore elegant pearls to accompany her son to Beijing on Wednesday. 3. 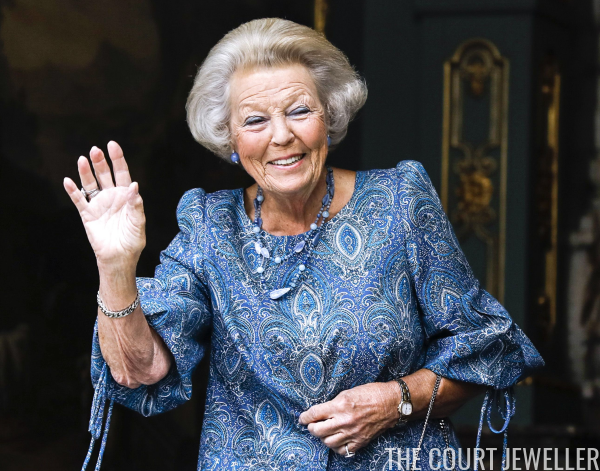 Dazzling Bulgari earrings set with aquamarines and diamonds were Queen Letizia's choice for a night at the opera in Madrid on Wednesday.